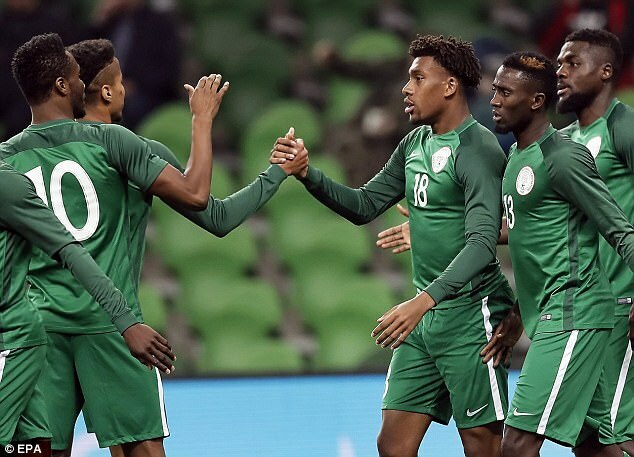 After a sterling performance which him net a brace in Nigeria’s 4-2 win over Argentina in an international friendly on Tuesday in Krasnodar, Russia, Super Eagles forward, Alex Iwobi has revealed that playing for the team was the best decision he has ever made as a football. Having changed allegiance to play for the Super Eagles two years ago instead of the Three Lions, the Arsenal star has played an integral role in Nigeria’s qualification to the 2018 World Cup. His solitary goal against Zambia ensured the team sealed automatic ticket to the mundial with a game to spare before playing a 1-1 draw in their final group match against Algeria on November 10. However, Iwobi told Mirror in UK that he’s grateful to his family and uncle (Austine Okocha) for advising him to play for Nigeria. “I was growing up in England and England was the only national team I knew, so I was actually very pleased to play at national level. However, my family are all from Nigeria, I was born in Nigeria, my uncle (Jay-Jay Okocha) is a legend in Nigeria.